Aseptic Meningoencephalitis (AM) is defined as inflammation of the brain (encephalitis) and tissues (meninges) that surround the brain. AM has many treatable and untreatable causes, and includes both infectious and non-infectious etiologies. In the majority (70%) of patients with AM, however, the cause is never identified. The overall goal of this study is to establish a simple and cost-effective algorithm for early diagnosis and effective management of AM in children and adults. Secondary objectives include describing the epidemiology and natural history of AM using improved diagnostic methods and tracking neurodevelopmental outcomes. The Center for Infection and Immunity at Columbia University in New York will assist us with testing spinal fluid using Mass Tag PCR (detects 30 pathogens), GreeneChip Microarray (detects 30,000 pathogens), and high throughput sequencing (allows for pathogen discovery). Adult Study: To date, we have enrolled 193 adults in New Orleans (1999 – 2008) and 567 (retrospectively) in Houston (2005 – 2010). Only 113 (14.8%) of the 760 patients were found to have an urgent treatable cause (UTC) of AM. Factors associated with having an UTC included an abnormal host, examination or laboratory findings. Using data from the New Orleans patients, we successfully classified Houston patients into three risk categories (low, intermediate and high) for an UTC. This data was presented in September 2011 at the 50th Interscience Conference on Antimicrobial Agents and Chemotherapy has been submitted for publication. Since November 2008, we have enrolled an additional 82 adults with AM and collected spinal fluid for testing from 59. Neurodevelopmental testing has been completed on 68 adult patients (47 in Houston and 21 in Tulane) and 3 controls. Spinal fluid samples have been sent from 33 patients (25 Houston and 8 Tulane) to Columbia University. 23 (69.7%) of the 33 samples have undergone Mass Tag PCR testing of which 4 samples were positive. Two identified pathogens not previously identified. 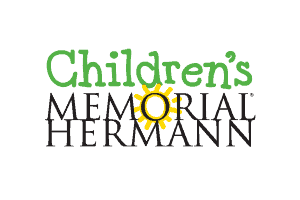 Children study: We have identified 200 children admitted with AM to Children’s Memorial Hermann Hospital (CMHH) between January 2005 and December 2010. All patients have been reviewed, case report forms completed and data entered into a newly-designed electronic database for analysis (completed September 2011). Since December 2010, we have been screening children for our prospective study. We have screened 305 children of whom 20 had AM. 12 of the 20 children with AM enrolled in the study and CSF fluid has been collected for testing in 10. We are investigating opportunities to expand our study nationally and internationally. We would like to expand to other children’s hospitals in Houston (Texas Children’s Hospital, Ben Taub Hospital) as well as Costa Rica where we have already obtained approval to initiate a review of AM in children admitted to the San Jose Children’s hospital. Additional sites for collaboration include Colombia, Chile and the Netherlands.